ChiIL out with ChiIL Mama, live sharks, & Nat Geo's Zeb Hogan at The Aquatic Experience, Chicago! Enter below for your chance to win a FREE family pass, good for up to 6 tickets. We’re pleased to announce the only traveling shark show in the US is coming to Chicago for the World Pet Association’s inaugural Aquatic Experience – Chicago from Nov. 15-17, 2013. Haai Inc’s Live Shark Encounter will be among the unique exhibits on view at the show, the first in industry history to combine everything aquatic under one roof—from saltwater to freshwater with pond and aquatic animals. Philip Peters interacts with a shark during Haai, Inc’s "Live Shark Encounter,"
We have a 30 gallon community tank with lots of small, fresh water sharks and a beta bowl in our home, and can't wait to check out the show. Kid’s Aquarium Contest is a captivating learning program designed to teach children about the environment, stimulate their minds, ignite their creativity and warm their hearts through the rewards of pet care. Children from the ages 5 to 16 are encouraged to join the competition. Aquariums will be lined up spotlighting the children’s creations. Every contestant is rewarded in many ways – ribbons are given to all the children, each tank creation is theirs to keep and the pride of being an active citizen in community events will reward them for a lifetime. Sign up now to participate! ChiIL Mama's got 6 free tickets for a lucky reader. Enter here through midnight Nov 9th. Click the link below. Consumers, retailers and families can hear from National Geographic’s Monster Fish host Zeb Hogan and other speakers, take part in educational seminars, enter a Kid’s Aquarium Contest and enjoy a show floor filled with vibrant displays of exotic fish from around the world, product raffles, hobbyists and equipment experts. 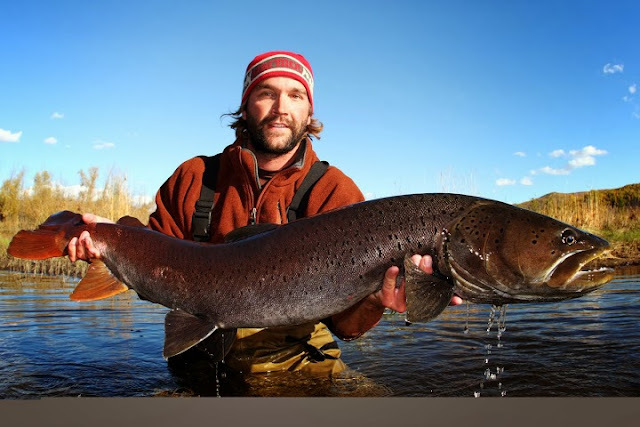 National Geographic's "Monster Fish" host Zeb Hogan is the keynote speaker for the World Pet Association's inaugural Aquatic Experience - Chicago. Image courtesy of Zeb Hogan, taken at Mongolia's Upper Uur River. 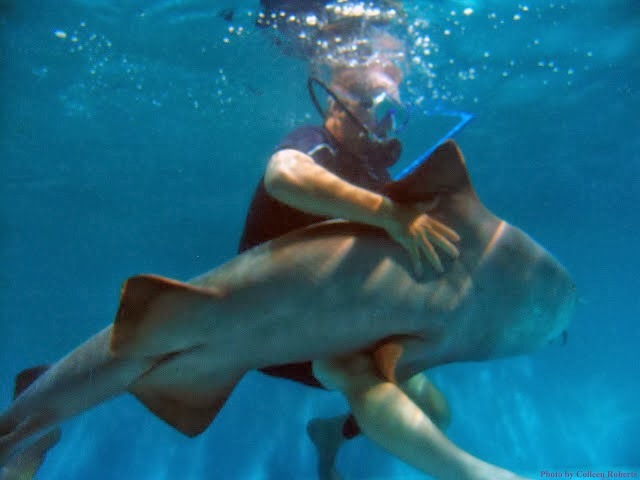 The World Pet Association (WPA) announced that the only traveling shark show in the country, Haai Inc’s Live Shark Encounter, will be among the unique exhibits on view at its inaugural Aquatic Experience – Chicago show, Nov. 15-17, 2013. 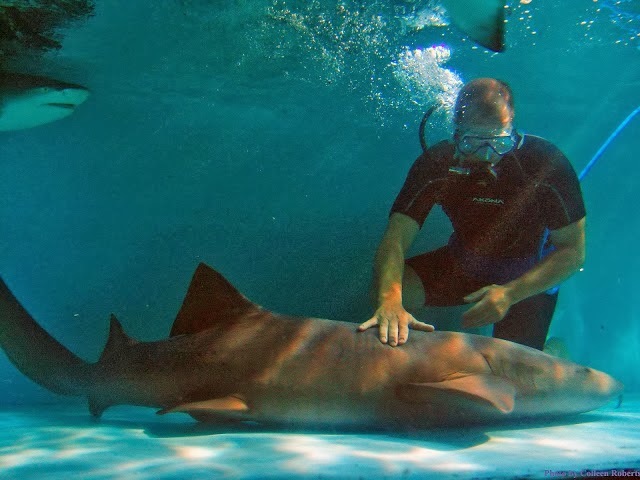 Attendees will get to see sharks up close as a diver provides entertaining and educational information before entering a specially designed 5,000-gallon tank to swim and interact with these awe-inspiring animals. Additionally, a Great White Shark Museum on site will provide more details and artifacts on display, including a replica of the Carcharodon Megalodon Jaws (an ancient meat-eating 60-foot shark). Philip Peters interacts with a shark during Haai, Inc’s "Live Shark Encounter," which is among the exhibits at the World Pet Association's inaugural Aquatic Experience - Chicago, November 15-17, 2013. Image courtesy of Haai, Inc. Aquatic Experience – Chicago is the first show in industry history to combine everything aquatic under one roof—from saltwater and freshwater fish and pond. Consumers, retailers and families can hear from National Geographic’s Monster Fish host Zeb Hogan and other high-power speakers, take part in educational seminars, enter a Kid’s Aquarium Contest and enjoy a show floor filled with vibrant displays of exotic fish and product raffles, hobbyists and equipment experts alongside the industry’s best and trend-setting manufacturers. In addition to Hogan, many experts in the field will be available on-site at to meet in person and share their enthusiasm for the underwater world. 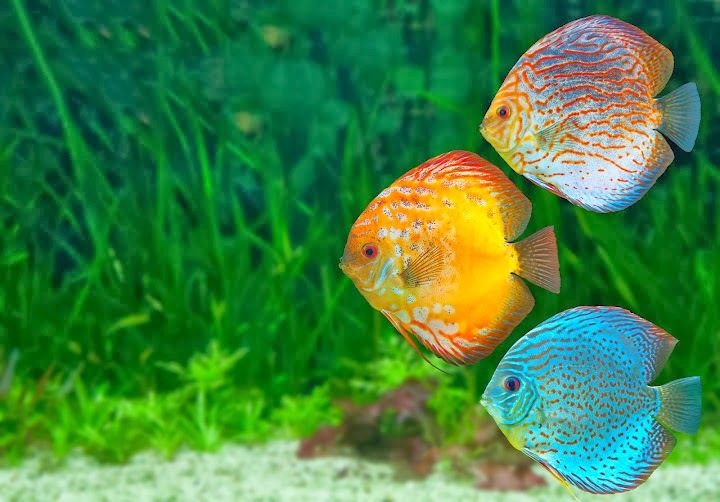 Discus fish. Image courtesy of the World Pet Association. Tickets are on sale now for Aquatic Experience – Chicago at the Renaissance Schaumburg Convention Center (1551 N. Thoreau Drive, Schaumburg, IL) with daily individual tickets starting at just $10 and daily family passes for $25. Tickets to the Saturday dinner with keynote speaker Zeb Hogan are $60. For more information and to purchase tickets, please visit www.aquaticexperience.org. The World Pet Association (WPA) is the oldest industry organization promoting responsible growth and development of the companion pet and related products and services. WPA works to inform and educate the general public in order to ensure safe and healthy lifestyles for our animal friends. WPA is the host of America’s Family Pet Expo, the world’s largest consumer pet and pet products expo, held annually in Costa Mesa, California. The organization also produces SuperZoo, an annual pet industry trade show that showcases a comprehensive collection of exhibits and offers a variety of informative educational seminars. For more information, please visit www.worldpetassociation.org.